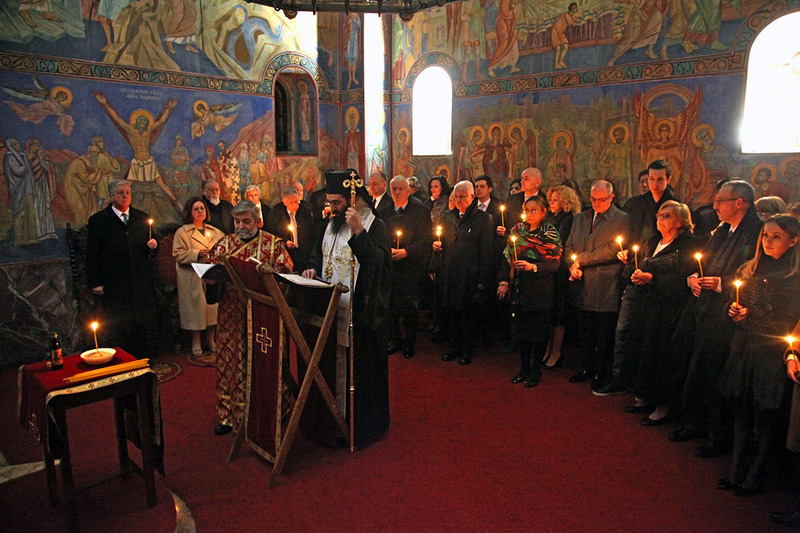 The 25th Anniversary of the Crown Council was marked by the memorial service for the deceased members of the Advisory Bodies of the Crown in the Royal Chapel of St. Andrew the First-Called, followed by a reception at the Royal Palace. 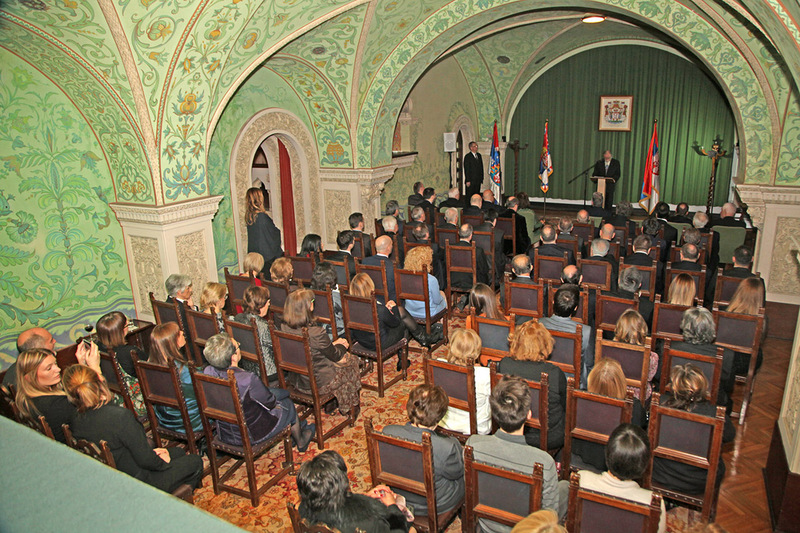 The Anniversary was attended by Their Royal Highnesses Crown Prince Alexander and Crown Princess Katherine, the members of the Advisory Bodies of the Crown, their families and friends, as well as by the representatives of religious communities and guests from public and cultural life of Serbia. „Advisory Bodies of the Crown took part, either directly or indirectly, in the events that marked the past quarter of a century of our history. In some of those activities they were valuable and successful, in some other less, but never and nowhere were they useless or harmful! This is very important, and this reflects the righteousness of their choice. All of them have a great authority that is not a result of the fact that they are the members of the Council, but of the fact that they are the Council! They are a gallery of portraits and individual virtues and values that make our history unique, both ours and of the whole humanity. They are the Areopagus of Serbia. 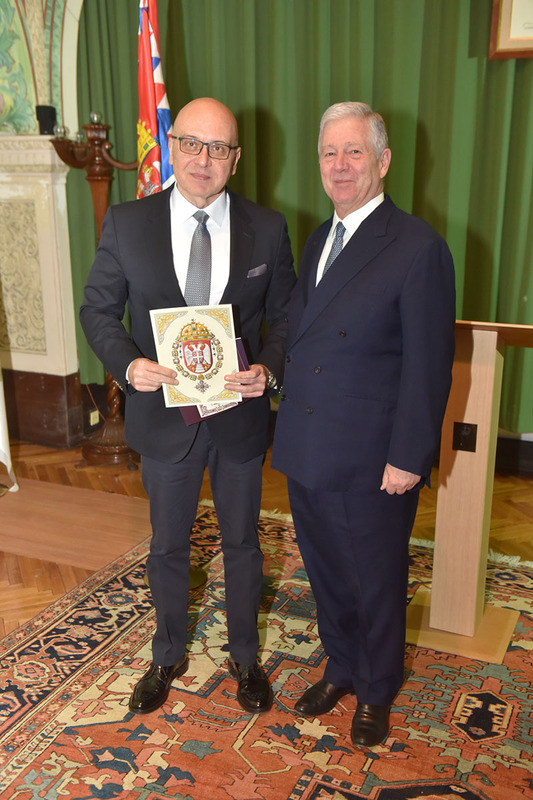 Certainly not only them, but Serbian Areopagus does not and cannot exist without them“, said HRH Crown Prince Alexander. “When twenty five years has gone by you have a problem to locate that period in your memory. Twenty five years is a rather vague summary of the time, something that is not long enough to become a legend, nor recent enough to be seen as part of an unfinished present. Twenty five years is at the same time too long and too short. Advisory Bodies of the Crown are still what they have so far been: an oasis of moderation, tolerance and awareness of the origin and destiny of today’s time. We have a set of well-meaning individuals gathered around a common vision. We are not a community of like-minded, we are a gremium of the responsible. Nobody has become a member of the Advisory Bodies of the Crown to be heard about or to become well known; whoever came here already had the name and work, invested in the honor and privilege to help by the advice and knowledge the only national institution that no political factor feels as their own, but everyone sees it as a phenomenon that by its mere existence embarrassingly reminds that there is something beyond daily politics and particular interests. This is not boasting, it is a fact”, said Mr. Dragomir Acovic. On this occasion the appointments of the new members of the Advisory Bodies were announced and Royal Orders were awarded. 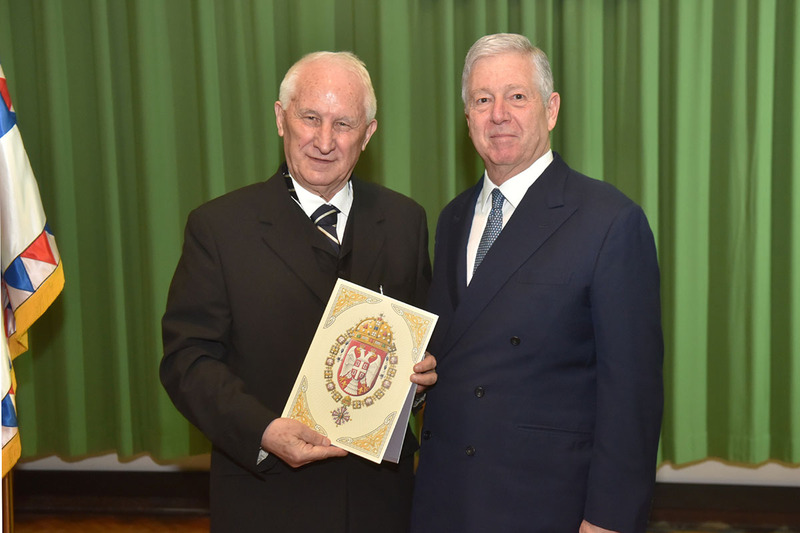 Academician Miroslav Gasic, was appointed a member of the Privy Council (PC). 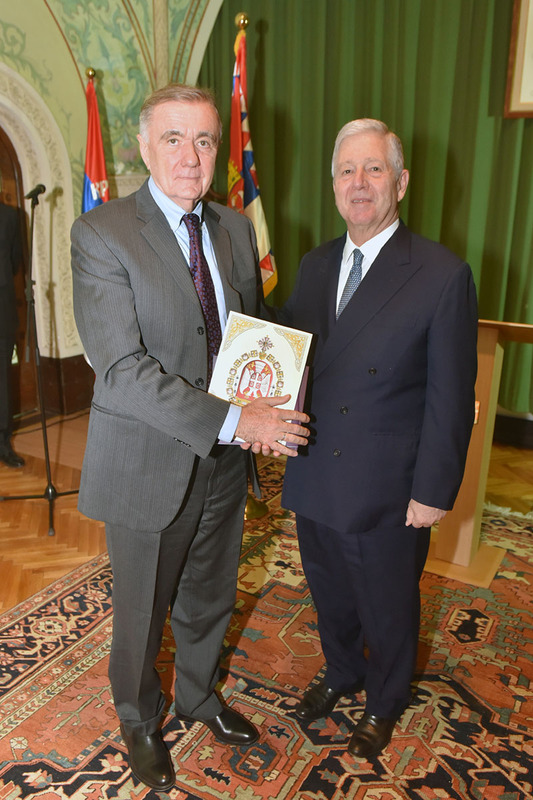 Mr Ljubodrag Grujic was appointed a member of the Crown Cabinet (CCb). 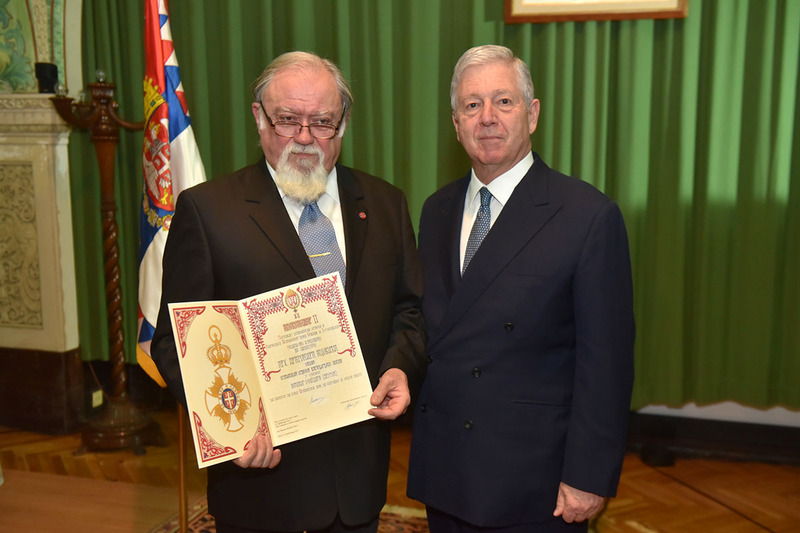 Prof. Bogoljub Sijakovic, CC, WE1, in the rank of Commander the Order of Karadjordje’s Star.